Happy happy Friday and happy three day weekend eve to most of you! We are heading to Atlanta this weekend and my parents are staying at our house with the babies… I am so excited for some adult time and some good music in the great out-of-doors! Last year for 4th of July we went to a cookout with my extended family and I was asked to bring a dessert. These white chocolate strawberries were so easy to make and they were a hit at the party. Everyone loved them! The only thing I would do different next time is to double the amount… they were almost gone before the food even came out! 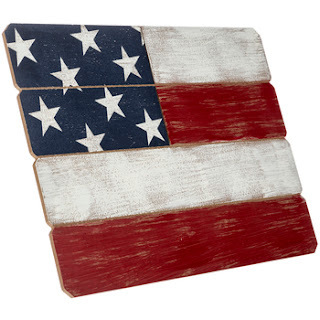 Perfect for Memorial Day and the 4th! These red, white, and blue confetti waffles are the perfect way to kick off the long weekend. Our kids would eat waffles every single day if we would let them, so I can never go wrong with those! I love red, white, and blue, and the older I get the more excited I get about wearing it! This is my kind of summer style right here! I love dressing our entire family in coordinating outfits for the holiday because it’s always a good excuse to get a family picture… some of my favorite pictures have been from 4th of July these last two years since Olivia was born. Hobby Lobby is my go to store for all things holiday décor. This will be the first year that I will decorate our house for the summer holidays, and I have already picked out some good stuff from Hobby Lobby. You can check out their red, white, and blue selection here. I also like to wait until they put the entire department on sale, because everything is 50% off! Since it’s not on sale this week, I would assume that it will be next week since they seem to rotate sales every other week. 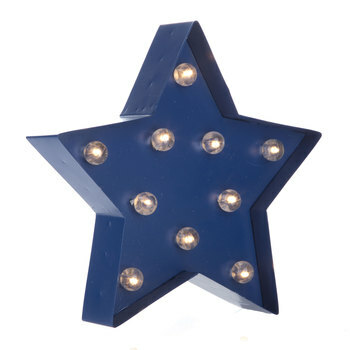 This has nothing to do with red, white, and blue, but it is a good way to support business here in the good ol' US of A! In case you missed it, I have a giveaway going on until 6/6. If you want to get your hands on one of these beautiful watches, head on over and enter here! I’m so smitten with mine and I haven't stopped wearing it! And finally, just for fun, here is a picture of our little family all red, white, and blued up last year for July 4th... look how tiny my babies were! Happy long weekend, everybody! I hope you enjoy your time off with the people you love! I'm in charge of a dessert for this weekend and I think I might make those strawberries! Have fun on your kid free weekend!! Those strawberries look awesome!!!! HAve a wonderful weekend. I need to make those strawberries, I know they would be a hit!! And yay for an adult weekend!! Have so much fun! Mmm... those strawberries look so yummy! Hope you have a great weekend!! Have fun in Atlanta! Y'all need to go to the Human Body Experiment in Midtown and do the blind tour--it's so fun and you'll probably end up laughing the entire time! Enjoy yourself! Oh those strawberries look so good! Have a wonderful weekend. I love Hobby Lobby decor- it pretty much makes up my entire house! Have a great weekend! Those white chocolate strawberries are such a cute idea!! Thank you, Stefanie! You as well! I am SO loving this festive post! I'm such a sucker for summer holidays! They are my FAV!!! those strawberries look so yummy! NEED THEM! You should try them! So easy and yummy! Have a great long weekend, Laurie! Look at how little Olivia was! Great photo. 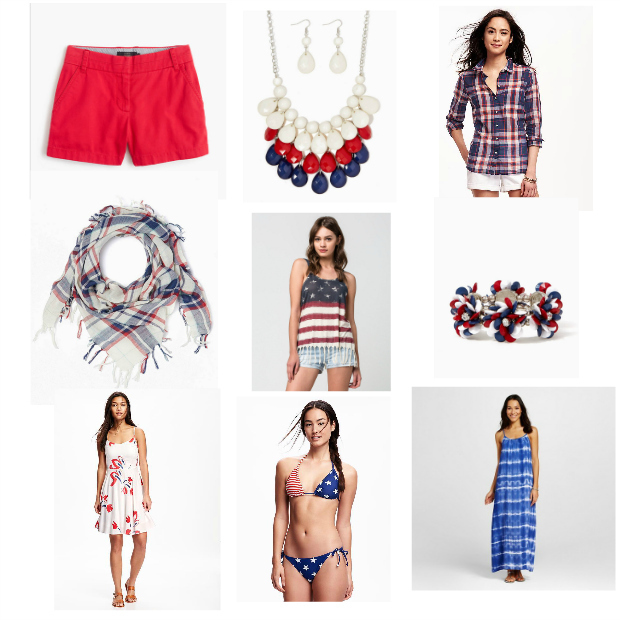 I am loving all the red, white and blue outfit ideas. I need to head to Hobby Lobby for some summer decorations and know I will go crazy in there. 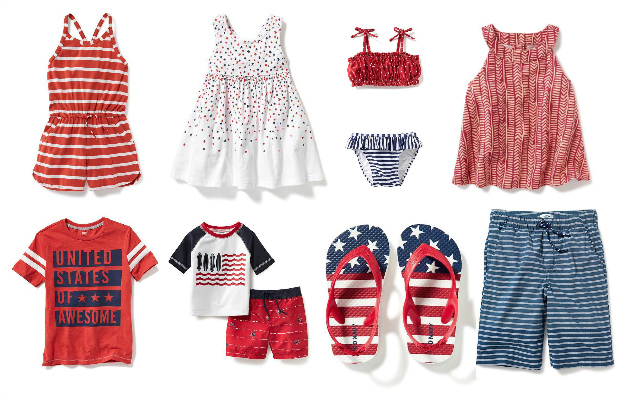 Love all of the outfit inspo and can't wait to see how you style your little family for July 4th! I hope you and your husband have a great getaway weekend! In love with all the festive looks. It definitely gets me in the spirit. Have SOOOO much fun this weekend. You're going to have a blast. Can't wait to hear all about it. P.S. - Your family pic from last year is adorable. Chocolate covered strawberries are the best and they are so fun to do for this holiday! Thanks, Gina! I'm really loving the watch as well! I haven't stopped wearing it! Happy weekend to you as well! I'm ALL over this post- my youngest turns two on 4th of July and all the red, white and blue gives me inspiration! Love your fashion pics! Cute family! Loved everything! Those strawberries and waffles are perfect! And now I want to buy all the cute clothes and accessories you posted! I need that American flag top!!! I know, I LOVE that American flag top! So cute! Those waffles & strawberries both look amazing and I need them in my life. Well bake away!! You won't regret it!